Baronial Hall weddings are becoming increasingly more popular. Have you ever considered getting married in a beautifully converted barn? They have traditional and modern aspects which are suitable for various requirements. Do you want to combine peace and tranquillity on your wedding day? 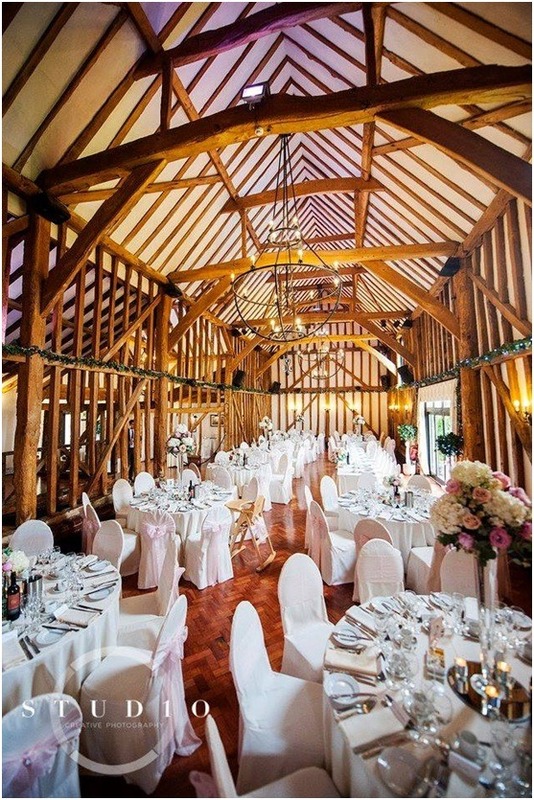 Most wedding venues in Essex are barns located in quiet environments which offer a rustic, vintage feel. One other advantage of baronial hall wedding venues is that they are practical in terms of outdoor space. However, if you were to have a gazebo or tent for after your ceremony, it would take substantial time and energy to set up and take down after the celebration, ultimately making barns preferable because they provide a sturdy and stable structure already! A barn wedding venue usually provides a trendy, unique atmosphere, this can also be created by you- at Crondon Park we always aim to please! Our barns have cultural backgrounds too, they can be dated back to the Tudor Era which is highlighted in the originality of features. It is your special day, hence why we ensure everything is executed to perfection! The wedding venue has a timeless nature but we offer flexibility, you have the opportunity to select a theme which suits your needs best. In a matter of speaking, we provide you with a blank canvas (one benefit of the venue being a baronial hall!) which is easy for you to customise and decorate- tailoring it to your specific requirements. Alternatively, you may have asked yourself: what if the weather isn’t promising? There is no need to panic, Crondon Park has barn wedding venues that are completely unaffected by the weather- they are idyllic for keeping dry and enclosed. On the other hand, all our barns have air conditioning installed and the temperature can be controlled accordingly! We plan for your day to be extra special, we have already compensated for any potential impediments so you don’t have to! Have you got specific ideas for how you want your wedding venue to look? Great! Why not discuss these with our team of experts at Crondon Park! Our wedding venues in the Essex area offer historic value, however, you can add your own personal touch to the decoration- we have modern amenities such as bespoke lighting, which are advantageous if you want to combine current trends with tradition. Above are some of the special effects a Baronial Hall Wedding could have for your special day! Our venues provide an unbeatable ambience which can only be expected from secluded locations. At Crondon Park we understand you have the need for everything to run smoothly on your big day; as an extra service, we offer in-house catering which is convenient in terms of transportation and keeping your costs to a minimum! To discover more information about our Open Days, get in touch with us at Crondon Park today!